Douglas G Batty, D.C., is a chiropractor located in Evansville, WI. Techniques: • Toftness Take the next step and contact Dr. Douglas G Batty, D.C., for a consultation in Evansville, WI or to get more information. Jane A Hormutch, D.C., is a chiropractor located in Evansville, IN. Techniques: • Diversified • Sacro Occipital Technique • Trigger Point Therapy Take the next step and contact Dr. Jane A Hormutch, D.C., for a consultation in Evansville, IN or to get more information. Thomas R Hamilton, D.C., is a chiropractor located in Evansville, IN. Techniques: • Applied Kinesiology • Cox • Diversified • Neuro Muscular Technique Take the next step and contact Dr. Thomas R Hamilton, D.C., for a consultation in Evansville, IN or to get more information. Robert C Winchell, D.C., is a chiropractor located in Evansville, IN. Techniques: • Diversified • Cox • Sacro Occipital Technique • Applied Kinesiology Take the next step and contact Dr. Robert C Winchell, D.C., for a consultation in Evansville, IN or to get more information. Jay D Rohleder, D.C., is a chiropractor located in Evansville, IN. Techniques: • Applied Kinesiology • Cox • Diversified • Neuro Muscular Technique Take the next step and contact Dr. Jay D Rohleder, D.C., for a consultation in Evansville, IN or to get more information. Patrick J Oster, D.C., is a chiropractor located in Evans, GA. Techniques: • Diversified • Gonstead • Activator Methods • Cox Take the next step and contact Dr. Patrick J Oster, D.C., for a consultation in Evans, GA or to get more information. Richard D Oster, D.C., is a chiropractor located in Evans, GA. Techniques: • Diversified • Gonstead • Activator Methods • Cox Take the next step and contact Dr. Richard D Oster, D.C., for a consultation in Evans, GA or to get more information. Patsy Williams, D.C., is a chiropractor located in Evans, CO. Techniques: • Thompson • Gonstead • Palmer Package Take the next step and contact Dr. Patsy Williams, D.C., for a consultation in Evans, CO or to get more information. Irwin L Heller, D.C., is a chiropractor located in Evanston, IL. Techniques: • Diversified • Cox • Trigger Point Therapy Take the next step and contact Dr. Irwin L Heller, D.C., for a consultation in Evanston, IL or to get more information. Benjamin B Dickinson, D.C., is a chiropractor located in Evansville, IN. Techniques: • Diversified • Applied Kinesiology • Flexion-Distraction • Activator Methods Take the next step and contact Dr. Benjamin B Dickinson, D.C., for a consultation in Evansville, IN or to get more information. Daniel T Byrne, D.C., is a chiropractor located in Evansville, IN. Techniques: • Grostic • Palmer Package Take the next step and contact Dr. Daniel T Byrne, D.C., for a consultation in Evansville, IN or to get more information. Elizabeth R Erkenswick, D.C., is a chiropractor located in Evanston, IL. Techniques: • Network • Applied Kinesiology • Cranial • Pediatrics • Nutrition Response Testing Take the next step and contact Dr. Elizabeth R Erkenswick, D.C., for a consultation in Evanston, IL or to get more information. Joan K Byrne, D.C., is a chiropractor located in Evansville, IN. Techniques: • Grostic • Palmer Package Take the next step and contact Dr. Joan K Byrne, D.C., for a consultation in Evansville, IN or to get more information. Vinita Azarow, D.C., is a chiropractor located in Evanston, IL. Techniques: • Thompson • Cox • Diversified Take the next step and contact Dr. Vinita Azarow, D.C., for a consultation in Evanston, IL or to get more information. 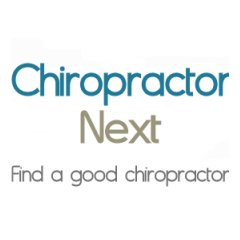 Cheryl Long, D.C., is a chiropractor located in Evansville, IN. Take the next step and contact Dr. Cheryl Long, D.C., for a consultation in Evansville, IN or to get more information. Deana S Rehmel, D.C., is a chiropractor located in Evansville, IN. Techniques: • Diversified • Activator Methods • Applied Kinesiology • Cox • Thompson • Logan Basic Take the next step and contact Dr. Deana S Rehmel, D.C., for a consultation in Evansville, IN or to get more information. Amber J James, D.C., is a chiropractor located in Evansville, IN. Techniques: • Activator Methods • Diversified • Thompson • Sacro Occipital Technique • Logan Basic Take the next step and contact Dr. Amber J James, D.C., for a consultation in Evansville, IN or to get more information. Daniel J Wilke, D.C., is a chiropractor located in Evanston, IL. Techniques: • Network • Cranial • Palmer Package • Wellness Coaching • Auriculotherapy Take the next step and contact Dr. Daniel J Wilke, D.C., for a consultation in Evanston, IL or to get more information. Penny L Ploch, D.C., is a chiropractor located in Evansville, IN. Techniques: • Activator Methods • Diversified • Logan Basic Take the next step and contact Dr. Penny L Ploch, D.C., for a consultation in Evansville, IN or to get more information. Wayne F Kirk, D.C., is a chiropractor located in Evansville, IN. Take the next step and contact Dr. Wayne F Kirk, D.C., for a consultation in Evansville, IN or to get more information. Tony Loredo, D.C., is a chiropractor located in Evanston, IL. Take the next step and contact Dr. Tony Loredo, D.C., for a consultation in Evanston, IL or to get more information. Karen Rexing, D.C., is a chiropractor located in Evansville, IN. Techniques: • Applied Kinesiology • Activator Methods • Manual Adjusting Take the next step and contact Dr. Karen Rexing, D.C., for a consultation in Evansville, IN or to get more information. Fred Palmer, D.C., is a chiropractor located in Evanston, IL. Techniques: • Applied Kinesiology • Sacro Occipital Technique • Manual Adjusting Take the next step and contact Dr. Fred Palmer, D.C., for a consultation in Evanston, IL or to get more information. Greg Lawrence, D.C., is a chiropractor located in Evansville, IN. Take the next step and contact Dr. Greg Lawrence, D.C., for a consultation in Evansville, IN or to get more information. Jeff Durr, D.C., is a chiropractor located in Evans, CO. Techniques: • Gonstead • Palmer Package • Thompson Take the next step and contact Dr. Jeff Durr, D.C., for a consultation in Evans, CO or to get more information. Jeffrey L James, D.C., is a chiropractor located in Evansville, IN. Techniques: • Activator Methods • Diversified • Logan Basic Take the next step and contact Dr. Jeffrey L James, D.C., for a consultation in Evansville, IN or to get more information. Thomas D Schoeffel, D.C., is a chiropractor located in Evans City, PA. Techniques: • Diversified Take the next step and contact Dr. Thomas D Schoeffel, D.C., for a consultation in Evans City, PA or to get more information. John Wilke, D.C., is a chiropractor located in Evansville, WI. Techniques: • Gonstead • Diversified • Activator Methods • Toggle Recoil Take the next step and contact Dr. John Wilke, D.C., for a consultation in Evansville, WI or to get more information. Marshall A Kolber, D.C., is a chiropractor located in Evanston, IL. Techniques: • Diversified Take the next step and contact Dr. Marshall A Kolber, D.C., for a consultation in Evanston, IL or to get more information.